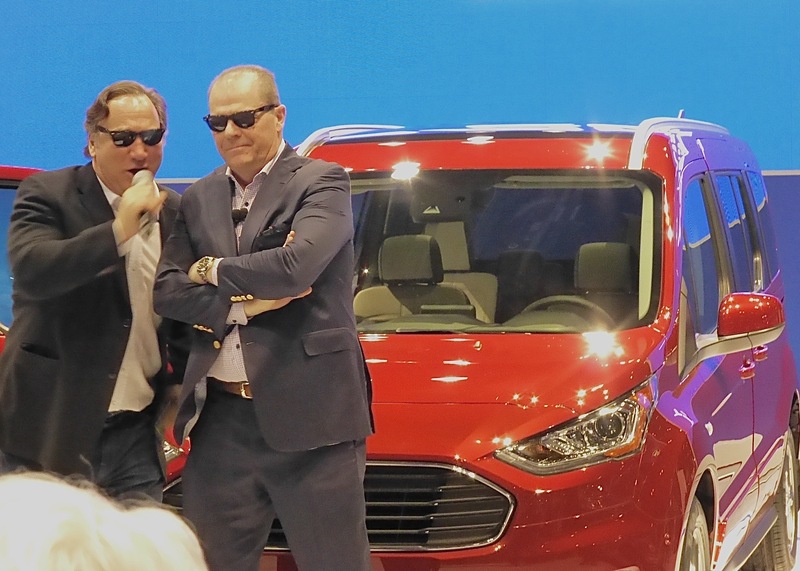 New Kona fills out subcompact, high tech end of SUV fleet. Driving in Northern Minnesota requires extra diligence because of the long winters and severe ice and snow circumstances, and while moving toward all-wheel-drive has led to enormous growth of Sport Utility Vehicles segment with AWD, the new preference seems to be for the smallest possible vehicle with the attributes of larger SUVs. Not the least of Kona’s assets is that I attained 33.5 miles per gallon with the optional turbo engine while negotiating the all-terrain roads of suburban Detroit. 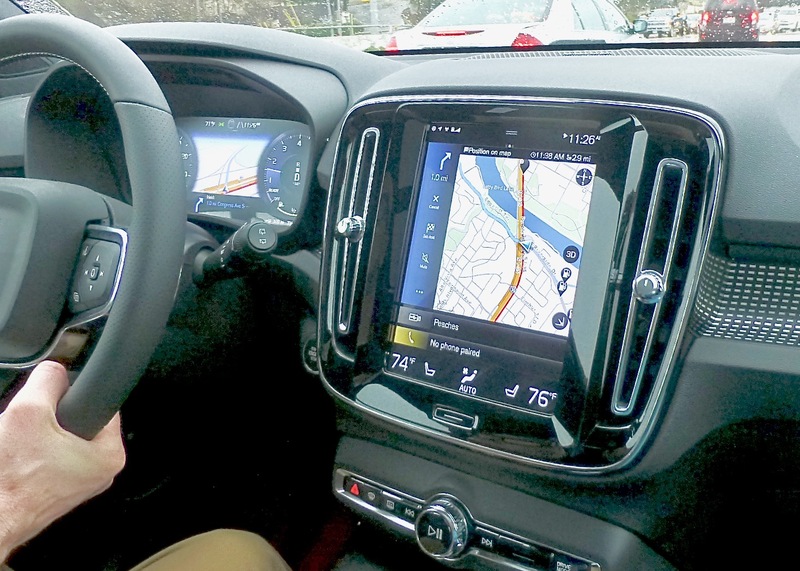 If you think you’re keeping up to date on the auto industry, you’re aware how rapidly SUVs are taking over, and how rapidly compact SUVs are going past midsize SUVs. 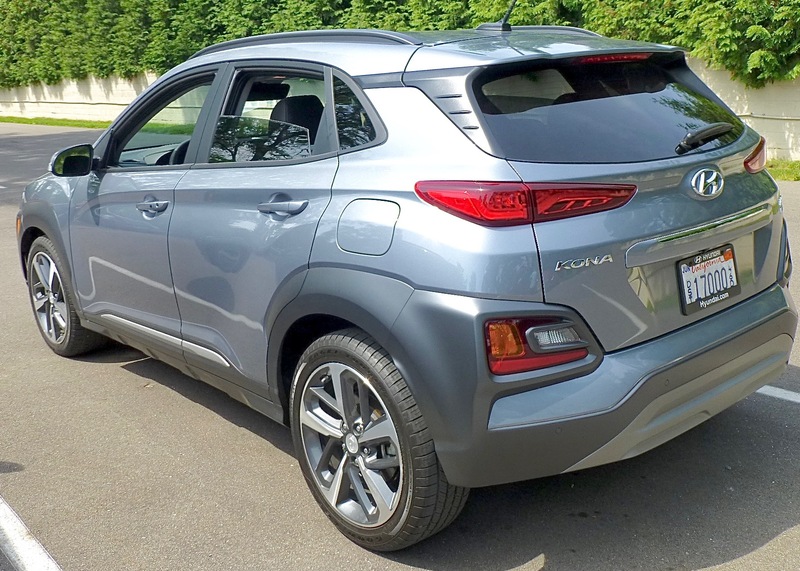 However, while we weren’t paying close attention, something called “subcompact CUVs” were growing faster than even the compact SUVs in the marketplace. While cars of all sizes suffered in the highly competitive market over the last year, midsize SUVs grew by 9.4 percent in sales. Compact SUVs — the popular gang that includes the Honda CR-V, Toyota RAV4, Nissan Rogue, Mazda CX-5, Jeep Compass, Ford Escape and others — grew 1.7 percent. Meanwhile, Subcompact CUVs grew at a 4 percent clip, more than twice as fast as compacts. That Subcompact CUV group, Hyundai, suggests, includes the Chevrolet Trax, Honda HR-V, Toyota C-HR, Mazda CX-3, Jeep Renegade, Subaru Crosstrek, Ford EcoSport, and Nissan Kicks, and is projected to grow another 16 percent this yearit is that segment that Hyundai has aimed the Kona. Headlights are high, ruinning lights middle, and foglights low on the unique Kona front end. New Ram features dramatic changes from grille to interior, frame, ride, handling, powertrains, and capability for 2019. 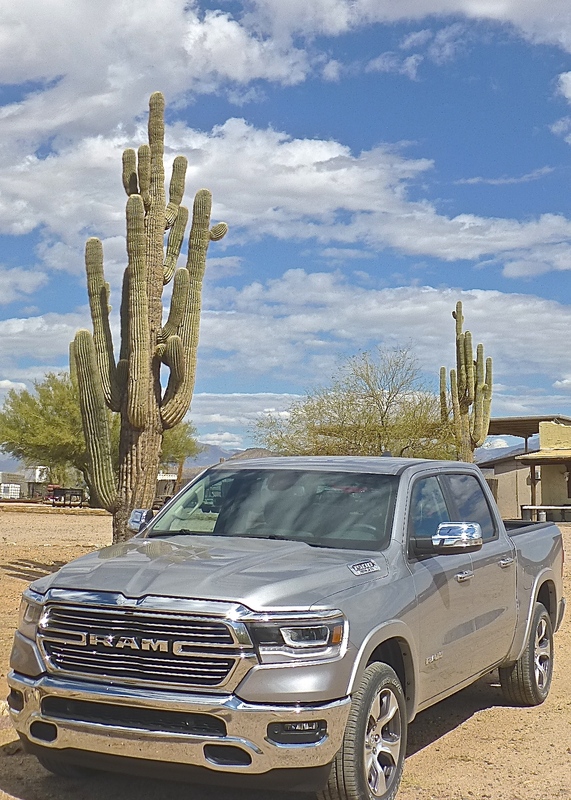 If there was any pressure on FCA to come up with a bold, new pickup with the latest generation of the Ram 1500, you couldn’t prove it by the truck itself, or how superbly it performs in any and all conditions. The new Ram is the 2019 model pickup, and maybe that’s appropriate, because if anything it is an advanced look at what a modern, contemporary pickup truck can be. It’s old news that the largest selling car in the U.S. if a truck — the Ford F-150, and that the second-largest selling car in the U.S. is also a truck — the Chevrolet Silverado. It is less-well-known that the No. 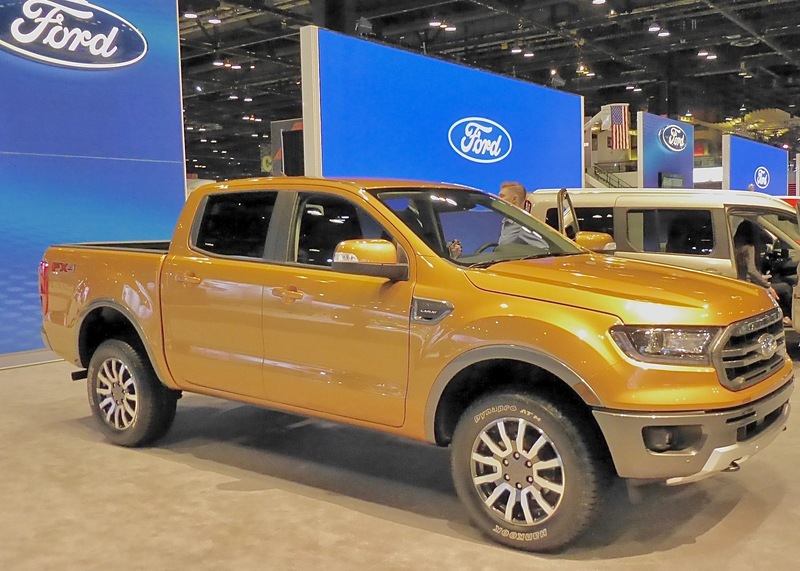 3 best-selling car in the U.S. is also a truck — the Ram, previously the Dodge Ram. Competition among those three is ferocious, to say the least. And with the newly revised F-150 and upcoming Silverado, there was some pressure on FCA, and Dodge, to recreate their Ram pickup carefully. 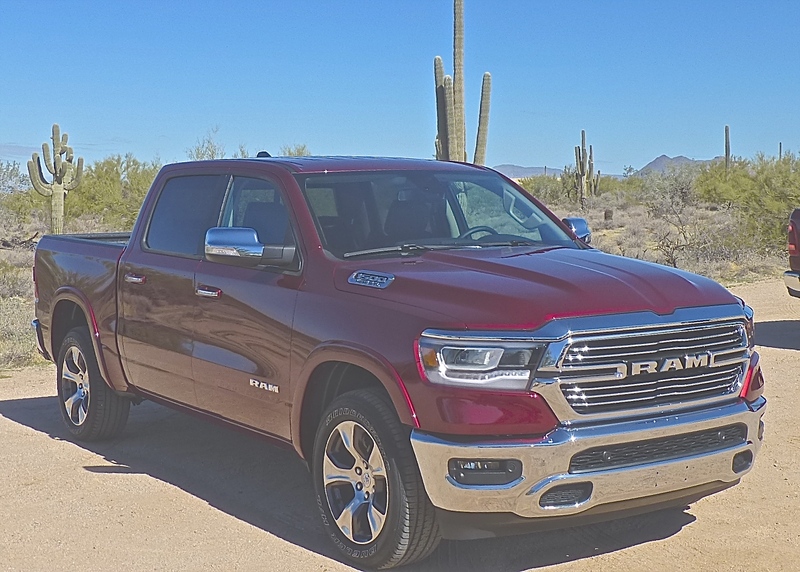 It is done, now, as a 2019 model, just released for the first introductory drives by auto media on the desert highways and sand washes of Arizona. My partner and I were equally impressed, and we are experienced enough that just naming something new is not going to dazzle us. Mostly, we liked the interior room, and design, and more than anything else we repeatedly raved about how silent the Ram was inside. At home going to the country club or the mall, the 2019 Ram is ready to work, too. The 2019 Ram 1500 half-ton pickup was first shown at the Detroit International Auto Show in January, and it made quite an impression. Dodge has broken various new trails in the pickup world, which is what you do when you’re No. 3 and don’t want to accept that status sitting still. John Opfer, exterior designer of the new Ram, reminded us that it was back in 1994 that Dodge unveiled its radical new design with the “Big Rig” Ram. To me, it took the somewhat squarish pickup front end and made it look more like a diesel train coming at you, with a massive grille and high, aggressively lunging shoulders for front fenders. That polarizing style, as well as a group of Hemi V8 engines, helped the Ram break into the tight competition between Ford and Chevy. I don’t think so, although it’s understandable Ram might be reluctant to give up its big, bold trademark image. It seems to me that while Ford and Chevy, and maybe Tundra and Titan, have been getting more and more aggressive in styling perhaps because of the Ram, so the new Ram backs off a bit. Instead of the familiar massive stacked grille, the new one has a refined look with the grille more of a horizontal oval, split by a stylish horizontal bar, which stops in the middle to allow imbedding the letters “RAM.” A nice touch is that fitted right into the small gap at the bottom of the “A” is the forward camera, which works within a system for forward-collision warning, which converts to braking assist if a collision appears imminent. Rain in Texas Hill Country caused the rivers to rise, and the Volvo XC40 never flinched. With snow up to our knees in Duluth, Minnesota, after a mid-February blizzard, I had two choices. 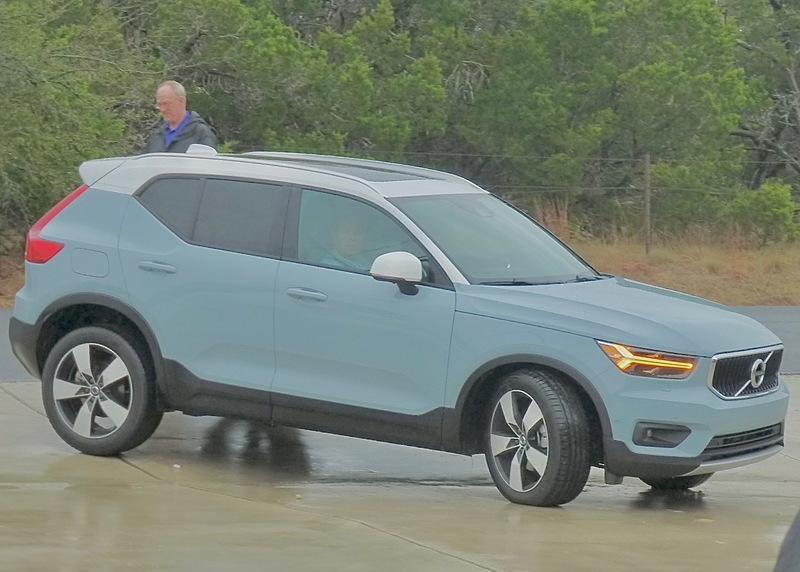 I could (A) keep reviewing a half-dozen different SUVs, trucks, and AWD sedans that I have been driving to handle the snow and ice, or (B) I could escape to Austin, Texas, for the introductory media drive of the all-new Volvo XC40. It was not just to avoid the latest mid-February storm, because to go, I had to miss some really good sectional high school hockey playoff games. However, I have been waiting for about three years for Volvo to create the XC40 and to get my hands on one, and seeing it on display at the Detroit and Chicago Auto Shows, I couldn’t resist. 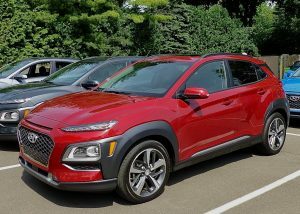 Regular readers of my automotive reviews, in the Duluth Reader, or on the Newcarpicks.com website, know that my preference in SUVs is to go for the smallest one that’s big enough. Anything larger is wasted weight to haul around. Volvo has an exceptional XC90 SUV, which won Truck of the Year and outperforms larger SUVs. 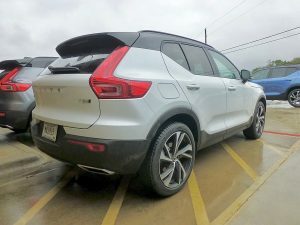 Volvo also has the XC60, which is a more compact midsize SUV with the same drivetrain — a sophisticated 2.0-liter 4-cylinder engine either turbocharged or both supercharged and turbocharged for amazing power, while still delivering impressive fuel economy. Both also feature Volvo’s long-standing tradition of building the safest vehicles on the road. Fresh design varies from Volvo tradition, inside and out, pushing the XC40 to the forefront of contemporary style. The XC40 comes along considerably more compact, and it shares in all those assets including the balanced handling and the vault-like safety structure, and the turbo 4, but it’s far from simply another downsizing exercise. “Our objective was to give it three main things — expressive design, smart technology, and ingenious storage. It has true SUV proportions, with short, compact overhangs front and rear. As designers, we get inspired by things other than cars, and we chose the materials and colors for the interior carefully. Thinner redesigned seats retain Volvo standard for support and comfort. 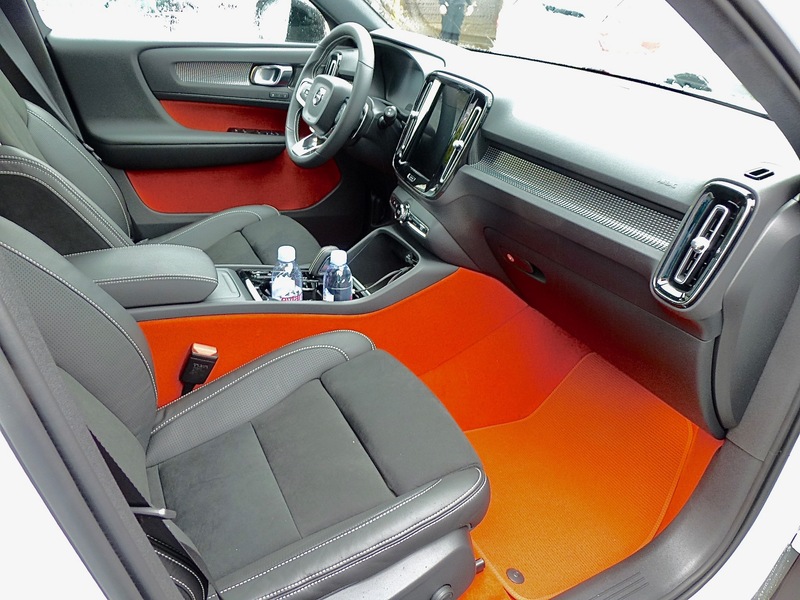 Clean R-Design interior adds dose of color. 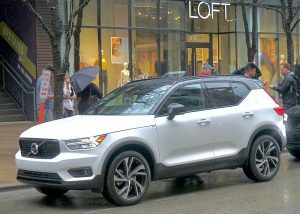 All of the XC40s can be bought with all-wheel drive, a $2,000 option on the front-wheel-drive base versions. All of the initial test cars had that impressive feature, which helps it snake around corners, and, presumably, would be an enormous benefit to those trying to scale the cliffs of Duluth in the snowstorms I left behind. The powertrain is another example of Volvo engineering, with a 4-cylinder engine measuring just under 2.0 liters (1.969 cubic centimeters, actually). 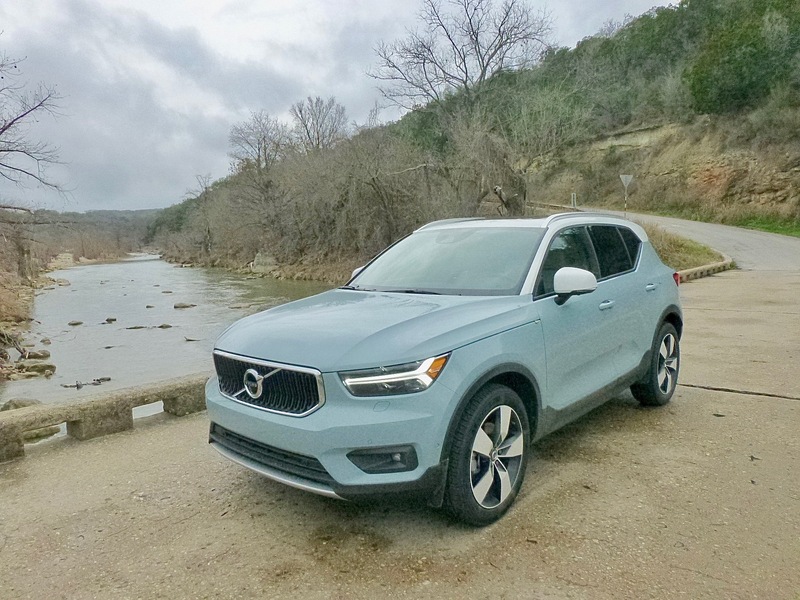 The now-familiar aluminum Volvo 4 has direct injection and is boosted by a turbocharger in the XC40, and its power ratings are impressive: 248 horsepower at 5,500 RPMs, and 258 foot-pounds of torque with that peak ranging from 1,800-4,800 RPMs. Miraculous, what these engineers can do with a strong design, turbocharging, direct injection, and computers coordinating it all. 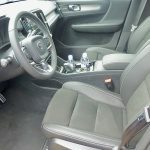 An 8-speed automatic transmission is standard, and it does a very good job in the Momentum, which starts at $35,200 with all-wheel drive, although you simply put the gear lever into “D” for drive and let it go. In the sportier R Design, we had a separate sport-manual gate we could shift into for manual operation, plus it had steering wheel paddles, which convert the power and transmission from impressive SUV category to sport-sedan-like pep and fun. The Momentum version of the XC40 comes with contrasting roof, which accentuates design. Naturally, the engineering technology came from the XC90 by way of the XC60, but one thing that prevents the lighter, more agile, and sportier looking XC40 in the mid-$30,000-and-up range is that Volvo officials have deduced that while customers want SUVs, and have made the compact-crossover SUV segment the fastest growing in the industry, customers also want all the creature comforts they can find in the larger SUVs. Completely new from the pillars forward, the 2018 Cherokee loses its unique front. 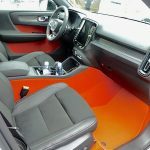 When Jeep brought out its all-new Compass redesign a year ago, I thought Jeep might be wise to simply discontinue the Compass, because the stylishly larger Cherokee and the much larger Grand Cherokee covered the larger SUV end of the scale, the Wrangler had the rugged end blanketed, and the new, funky and popular Renegade was closing in from the smaller end. Shows what I know. The Compass came out for 2018 with a neat, contemporary front end, bypassing the more unique looking Cherokee to become more similar to the larger Grand Cherokee, with its seven-slot grille. 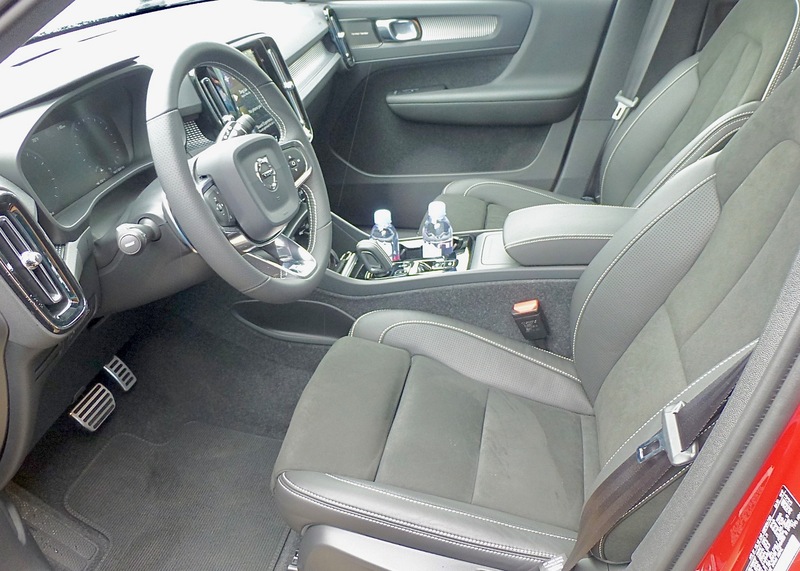 While shorter, the Compass also had more interior room than the Cherokee. That sort of left the Cherokee hanging out to dry. When it was introduced in 2014, the Cherokee was striking in its departure from the signature look of its Jeep siblings, with a more horizontal grille topped by squinty-eyed headlights on the upper edge. My son, Jack, and I agreed it was the best-looking member of the Jeep family. 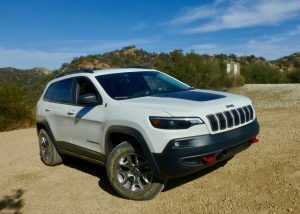 With every imaginable nook of the SUV and CUV scope seeming to be covered, the Compass was surprising both because it is impressive even if it comes only with a 2.4-liter 4-cylinder engine, and for some reason, Jeep designers allowed it to have more interior room than the larger Cherokee. That’s like giving the little brother weight-training until he’s more capable than big brother. Available in various models, including Trackhawk, for serious rock climbing. Ah, but now we learn of Jeep’s long-range plan. 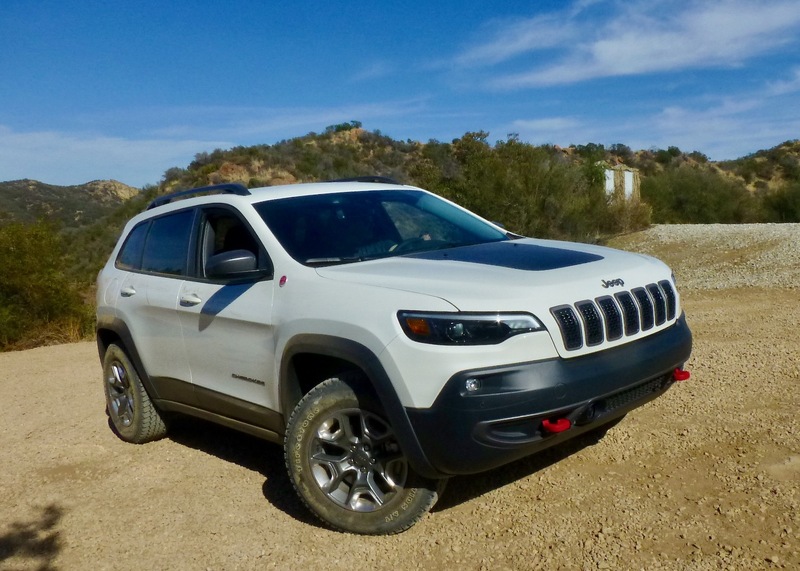 With the Compass all new a a 2018 model, the next Cherokee has just been introduced as a 2019 vehicle, and invited auto media got a chance to drive it hard, on highways, bad roads, and off-road terrain a sane person might never consider driving a vehicle. 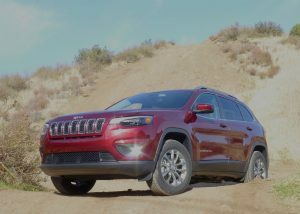 In a word, the bigger and roomier Cherokee regains its rightful slot as being just under the Grand Cherokee, and more capable than the Renegade, Wrangler or Compass, if you count everyday highway driving and family duties as a prime consideration. 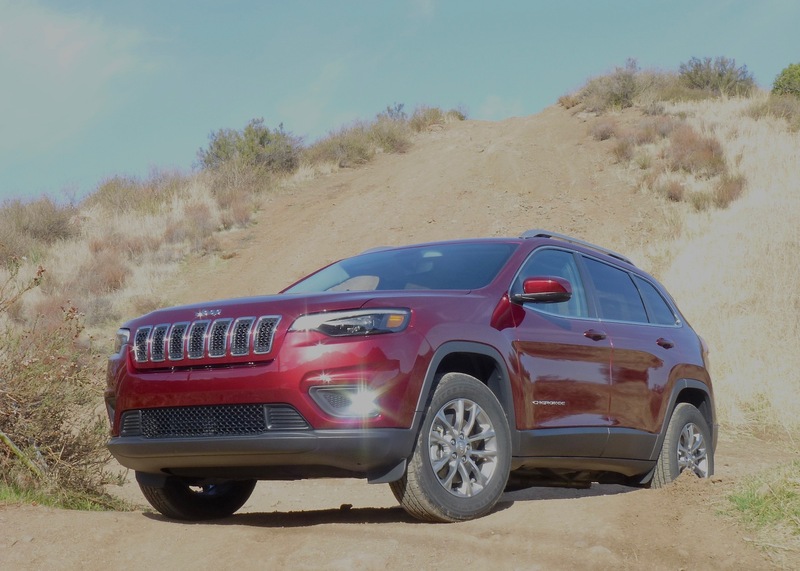 The new Cherokee uses the 2.4, which is the only engine in the Compass, but it also gets the impressive 3.2-liter V6 for optimum towing capability. The prize of the litter, in my opinion, is the new-design 2.0-liter 4-cylinder, which is an amazingly potent little powerplant that already is enjoying a strong start to its heritage. It is the same engine used by the all-new Wrangler, which is still the company’s over-achieving all-terrain champ. But in the Cherokee, the 2.0 pushes it to the front of the class, even against the Grand Cherokee for real-world use. And all the Cherokee had to sacrifice to carve its new niche was its look of uniqueness. I’m sorry to see the squinty-eyed lights go away, and I’m a little disappointed to see Cherokee’s styling leave being unique behind for a return to the family focus of vertical seven-slot grille with nests of LED lights enclosed in a single pod on either side of the new grille.